The iPhone X is only a few months old, and Apple’s 2018 flagship devices are still some time away. No one knows for sure what this year’s iPhones would be called. Apple complicated the naming pattern by releasing the iPhone 8 and iPhone X (ten) in the same year. For the sake of convenience, the rumor mill refers to the upcoming iPhones as iPhone X2, iPhone X Plus, and LCD iPhone. Yes, there will be three. A new report claims that Samsung is preparing to start the iPhone X2 and iPhone X Plus display production next month. Samsung is the sole supplier of OLED panels for Apple’s flagship iPhone. Though Apple is in advanced talks with a few other display suppliers, they do not have the capabilities to meet Apple’s demands. Sources familiar with the matter told Taiwan’s Economic Daily News that the iPhone X Plus display production would begin in May when Samsung will reactivate the production lines after a temporary downtime related to the iPhone X screen inventory. While early production will begin in May, Samsung will double the output in June. It is unclear why Samsung would start manufacturing the iPhone X2 and iPhone X Plus display panels ahead of time. Past reports claimed the Korean company would not begin production until late June or July. It’s possible that Samsung wants to ensure the adequate supply of display panels for the upcoming iPhones. Unlike last year, Apple will be releasing not one but two iPhones with OLED screens. So, the OLED panel demand will be significantly higher than last year. Earlier this year, supply chain reports claimed that Samsung had dramatically reduced the OLED output for Apple due to poor iPhone X sales. The anniversary iPhone was not a huge blockbuster as many anticipated it to be, despite featuring a radical new design and unique technologies such as Face ID and Animoji. According to Nikkei Asian Review, Samsung had cut OLED output for Apple by more than 50% during the January-March quarter. The Economic Daily News report is a good sign that this year’s flagship iPhones would release on time. Last year, Apple unveiled the iPhone X in September along with the iPhone 8 and 8 Plus. But the anniversary iPhone didn’t hit the store shelves until November 2nd. This time, all the three iPhones should be released simultaneously. The iPhone X2, iPhone X Plus and LCD iPhone will likely be unveiled in early September before hitting the store shelves later in the same month. Apple had reportedly joined hands with LG Display to source the larger 6.5-inch iPhone X Plus display panels. Later reports claimed LG was not yet capable of meeting Apple’s massive demand while adhering to its strict quality requirements. So, Samsung would remain the sole supplier of OLED panels to Apple this year. However, things may change in 2019 because Apple likes to have a diversified supplier base. 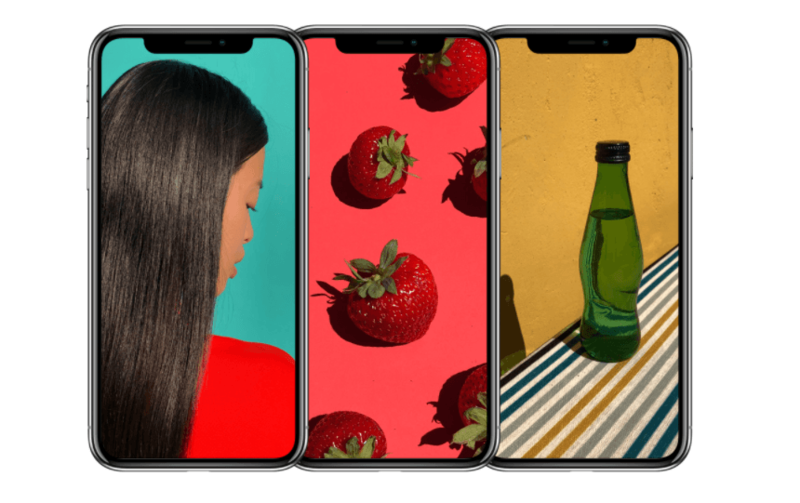 KGI Securities analyst Ming-Chi Kuo predicts Apple will launch a 5.8-inch iPhone X2, a 6.5-inch iPhone X Plus, and a 6.1-inch LCD iPhone this year. The rumor mill claims the second-generation iPhone X would cost $999 while the 6.5-inch model would have a starting price of $1,099. The LCD iPhone is said to be priced in the same range as the iPhone 8. All three models would feature a bezel-less design and the TrueDepth camera system that supports the Face ID and Animoji features. To reduce the cost of production for the LCD variant, Apple will reportedly remove 3D Touch functionality from the device. The LCD iPhone would feature only 3GB RAM, an older rectangular battery design, and a single camera on the back. The OLED models would come with a two-cell L-shaped battery, 4GB RAM, 3D Touch functionality, and a dual camera setup on the rear. Ming-Chi Kuo believes the LCD iPhone would be Apple’s most popular smartphone this year. It will have a reasonable price tag compared to its OLED siblings, but it would offer an iPhone X-like design and premium features like Face ID and Animoji. Of course, it would sacrifice on the superior image quality of OLED panels and the 3D Touch functionality. But the lack of these features shouldn’t hurt its sales, says Kuo. It would be interesting to see how the new OLED iPhones would perform, especially considering they would be ridiculously expensive. The iPhone X failed to trigger a massive upgrade cycle due to its high price tag.